Combat indifference, intolerance and injustice through international dialogue and youth-focused programs that promote acceptance, understanding and equality. Editor’s Note: Today marks the 20th anniversary of the U.S. Holocaust Memorial Museum. It was Elie Wiesel’s idea to make this an institution of learning rather than a simple memorial. 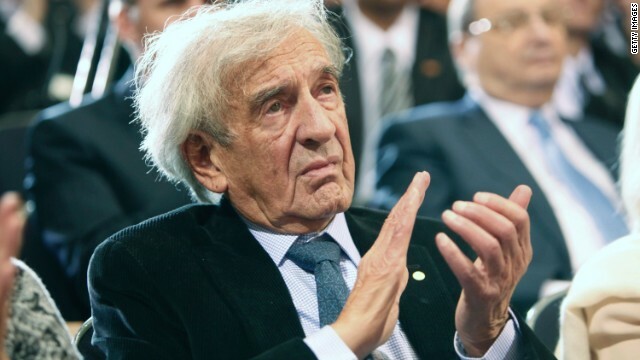 Michael Schulder, host of the “CNN Profiles” radio show, sat down with Wiesel to talk about a range of issues, including how a sense of humor survives in so many survivors. This story, though, is about faith. © 2019 Elie Wiesel Foundation for Humanity. All Rights Reserved.